On Wednesday 30 August, punctually as announced, his Excellency Monsignor Piergiorgio Silvano Nesti, Secretary of the Congregation for Institutes of Consecrated Life and Societies of Apostolic Life, arrived at the College and was received by the Minister General and other brothers who were in the atrium at the reception area. The little group then went along the corridor to the crypt for the concelebration of the Eucharist. During the concelebration, the Presule [i.e. the Archbishop] gave the homily. The website offers his homily as an audio download, but I was unable to open it; I await the arrival of technical assistance from Lanarkshire tomorrow morning. -I wonder did he mention Fra Colombano da Genova, Saint Paul of the Cross’s Capuchin spiritual director. The Holy Father asks the Lord to welcome into His Kingdom him who, for long years, guided and formed many people in the school of Christ, in the spirit of the “beloved disciple,” planting in them a deep love of the Church and fidelity to the Successor of Peter. His Holiness gives thanks for Father Marie-Dominique Philippe’s life, entirely given to the Lord and to his brothers, rooted in the meditation of the Word of God, in search for, and passionate contemplation of, the truth. May his testimony give to all those he guided the confidence necessary for the Gospel of Christ to always be proclaimed, welcomed and lived. Father Marie-Dominique Philippe, Dominican and Founder of the Community of Saint John, died peacefully last Saturday morning, 26 August, at the priory of Saint-Jodard; he had suffered a stroke on 20 July. Father Philippe would have been ninety-four on Our Lady’s Birthday, 8 September. May the Lord reward him for his generous, humble and energetic service of Christ. 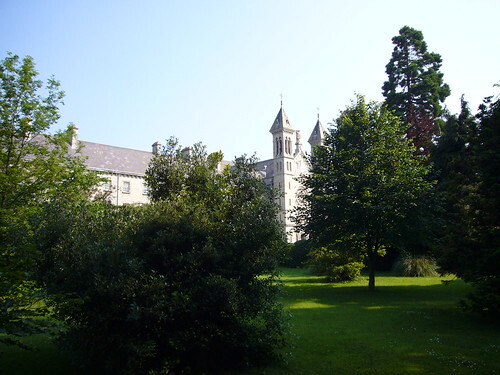 I had the privilege of taking part in a retreat given by Father Marie-Dominique at Saint-Jodard in 1996, although I had first heard his name from my metaphysics professor, Cardinal Desmond Connell, in 1974. He was a great philosopher and a great saint who has enriched the Church by his teaching and his example. 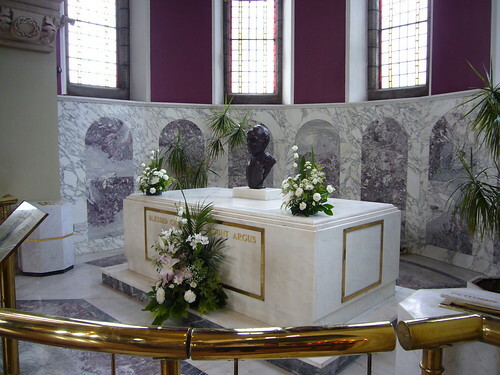 Like a number of the other great figures of twentieth-century French Catholicism, he was close to Marthe Robin, the mystic and stigmatist who from her Foyer de Charité at Chateauneuf-de-Galaure inspired so many currents of renewal in the Church in France and beyond. His brother, Father Thomas Philippe, was another holy and learned Dominican who played a significant role in the spiritual journey of Jean Vanier. 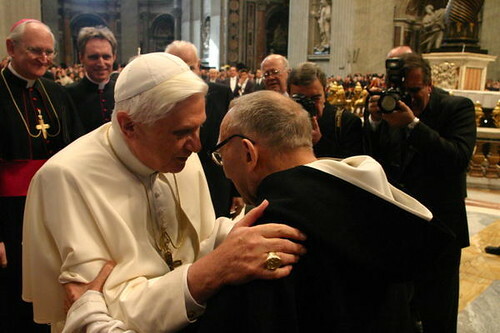 Last Feb. 15, Benedict XVI received members of the ecclesial community, celebrating its 30th anniversary, in St. Peter’s Basilica. The Community of St. John comprises 930 men (half of whom are priests or deacons) and active and contemplative women religious, as well as more than 3,000 lay oblates of more than 34 nationalities. It is present in 21 countries. 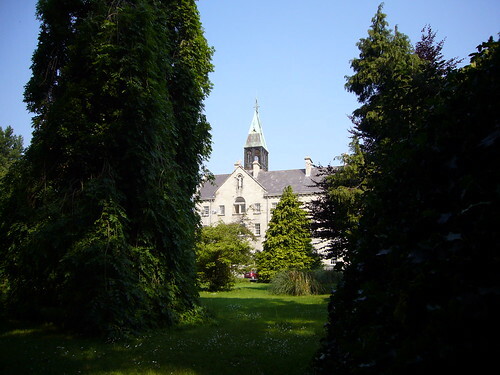 The Brothers of St. John are recognized as a religious congregation, under the bishop of the Autun Diocese, in France, where their motherhouse is located. The Funeral Mass for Father Marie-Dominique Philippe O.P. will be celebrated by Cardinal Philippe Barbarin in the Cathedral of Lyons on Saturday, 2 September at 10.30 a.m. I have received a letter from Father Angelo McMahon, the Carthusian Monk, whom I knew in Rome, and who is now residing in the Great Chartreuse of Grenoble in France. This Reverend Father tells me that you are desirous of receiving letters from me, as also of seeing a house founded for us Passionists in England…. But is there hope, my dear Sir, that I shall see you on this earth? Is there hope that I shall cross the sea, and convey my body to that island whither, twenty-two years ago, I sent my heart? Ah! beloved England, shall I one day see thee? And shall I see thee brought back to the one fold of the Catholic Church? I hope it; twenty-two years I have cherished this hope; I have never abandoned it, and hope never to abandon it for the time to come. I have endeavoured to interest in this object all the good souls which I have met in these parts, and I have found many so fervent, that they willingly offer themselves as victims to the Divine Goodness, ready to suffer all that a creature can suffer without offending God, provided God will show mercy on the nations separated from the Church, and especially on our dear England. Of these souls I have found many; and one of them, a few days ago, not a little reanimated my hopes by telling me still to be expecting the time fixed by Divine Providence, and not to fear, because God and the Blessed Virgin take thought for that island efficaciously, and I shall one day be satisfied. O my God, when will be that day? When, when? Ah, my dear Sir, let us pray that it may be soon. 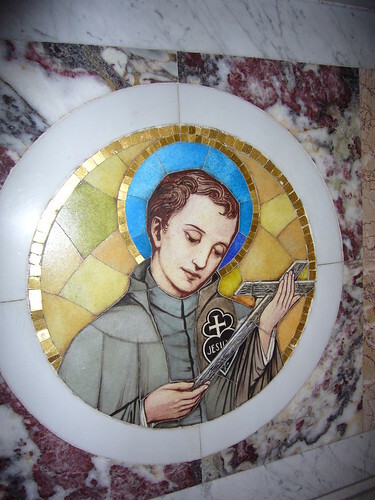 Blessed Dominic died at Reading on Monday, 27 August, 1849 at three o’clock in the afternoon. The words he repeated again and again during his last hours were Fiat voluntas tua – Thy Will be Done. 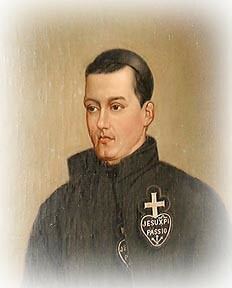 Someone pointed out to me that there was no article on Saint Paul of the Cross on Wikipedia. I’ve made a beginning this evening. Feel free to add to it here. Yesterday I went to Edinburgh to the see film Die Grosse Stille (Into Great Silence). Having been inside both the Grande Chartreuse and Parkminster, I was interested in seeing Philip Gröning’s extended meditation on the Carthusian Life. I was also curious about how he could hold an audience’s attention for nearly three hours with hardly a word being spoken. This audience included an assortment of arty-types (-the film was shown as part of the Edinburgh Film Festival), some German-speakers (-it was advertised by the Goethe Institute), and several excited Catholics (-they were thrilled to be seeing inside the Grande Chartreuse). One of the things for which the Carthusians are famous (apart from the liqueur) is their ability to discourage visitors. The only sign at the entrance to the Grande Chartreuse says On ne visite pas le Monastère. When the film was coming to Edinburgh, I told other members of our (Passionist) community the story of the film director who, wanting to make a movie about the Carthusians, wrote to the Grande Chartreuse and received a reply saying that they were not ready yet and that maybe in ten or fifteen years time, he could come and make his documentary; I then told them how, sixteen years later, he received a letter saying “We’re ready; come and make the film”. Each person I told had the same reaction: they waited for the punch-line, as they thought this was just another in the long line of jokes about “silent monasteries” – so much so that I had great difficulty convincing some of them that the story is actually true. As for the film itself, the two and three-quarter hours passes without seeming long (in stark contrast to the great 21st century bore, The Da Vinci Code). There was a strong sense of being outside of everyday time; the days and nights followed each other with the rhythm of the liturgy; the bell announced for us, as it does for the monks, the movement from one moment to the next. The repetition of written texts and what followed them gave some sense of the relentlessness (and maybe also the monotony) of the invitation to follow Christ (even if the part about “following” was missing from the English version of the biblical text). The extent to which Philip Gröning was permitted to film everyday life was perhaps surprising, but then, contemplatives tend to be much more relaxed and uninhibited than those religious who have to present themselves to the outside world every day and who are, consequently, probably more used to performing. The monks allowed themselves to be filmed in the most natural and uncompliacted of ways. Although the spoken word was kept to a minimum, this was certainly not a “silent movie”. Sound was such a powerful element of the film: the wind rustling the leaves, drips of water falling off a dish, a shovel striking the crisp snow. It became clear that those who speak less are able to hear more, to listen to more. And of course, monks are very noisy people: feet stepping, doors closing, books being opened – everything was done with a thud; I was reminded of the Abbott of Fontgombault pounding his way across the choir as he sprinkled the monks with Holy Water after Compline to mark the beginning of their Great Silence. So what were these Carthusians like? What did they communicate? They reminded me of the words of Dom Bruno, who was novice master in Parkminster, who said to me of his charges: “I like the wild ones; they stand a better chance of staying.” These men of the Grande Chartreuse were all individuals; the portrait shots conveyed something the different characters or temperaments, and so too did the interiors of their cells: on the wall of one “oratory” alcove, there were about five pictures, including an icon and a picture of Saint Thérèse of Lisieux; on another there was simply a small, dark crucifix against a bare wooden wall. These were not mindless fanatics, robbed of all uniqueness, but simple men living profound lives (and doing so without losing their sense of fun). At the end of the film, everyone left the cinema in silence; when we reached the outside, one of my companions turned to me and said, “Can we talk now?” What better way to express this film’s success? On the way home, we discussed what the impact of such an extraordinary film, including the words spoken at the end, could be on an unbeliever or someone who has not yet found the way to God. No doubt the Carthusians will find out. On the Feast of Our Lady’s Assumption, 15 August 1856, Father Paul Mary Pakenham C.P. celebrated Mass in a farmhouse not far from the City of Dublin. 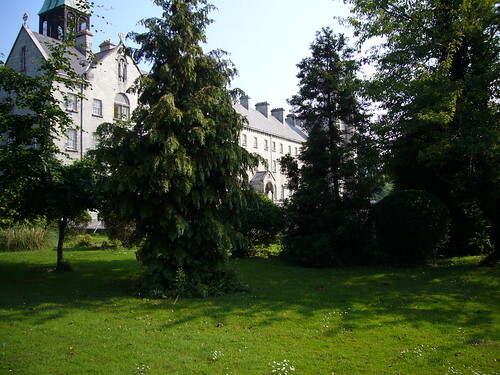 With the celebration of a Mass of Our Lady, exactly one hundred and fifty years ago today, he and his companion Brother Seraphim took possession of the future Saint Paul’s Retreat, Mount Argus, the first Passionist house in Ireland. 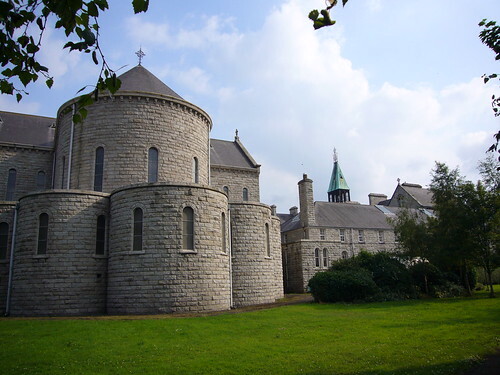 Other members of the new community arrived soon afterwards and in a short time work had begun on a chapel which, when completed, was dedicated to Saint Patrick and Blessed Paul of the Cross (-Saint Paul was not canonised until 1867). It must not be that this foundation, for which, it seemed, he was peculiarly adapted and called, and of which he was, as it were, the corner stone, should fail…. Instead of being disheartened, we should all take new courage, and unitedly resolve that his blessed death shall not be the blasting but the confirmation of all his hopes and ours. This is my feeling. I trust to go on with the part assigned to me in the work with only greater spirit and confidence. I believe from what I see and hear among my remaining companions, this is likewise their mind. Within months of Paul Mary’s death, two changes would occur in the community which would shape the future of Mount Argus, but in different ways. Father Paul Mary’s vicar (or vice-rector) and friend, Father Osmund (Maguire), was appointed as the new rector and, on 9 July, Father Charles (Houben) arrived form England to join the Mount Argus community. 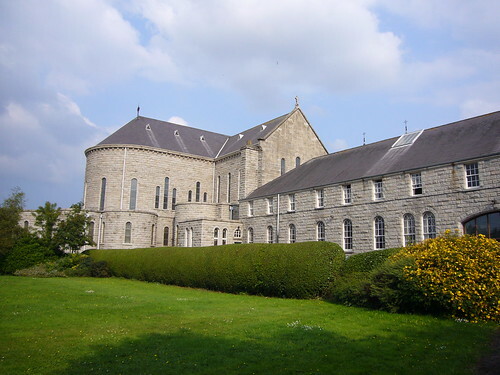 It was Father Osmund who engaged the great Irish architect J.J. McCarthy to design a new monastery,which would also be able to take retreatants, at an estimated cost of £12,000, which at that time was an enormous sum of money. 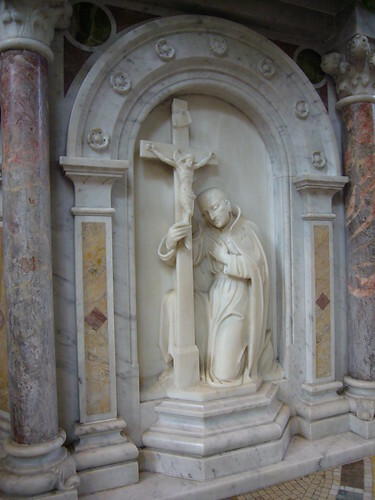 This carving of Saint Paul of the Cross on the ambo is one of the panels from the original pulpit which was carved by James Pearse, father of Patrick Pearse and his brother Willie. 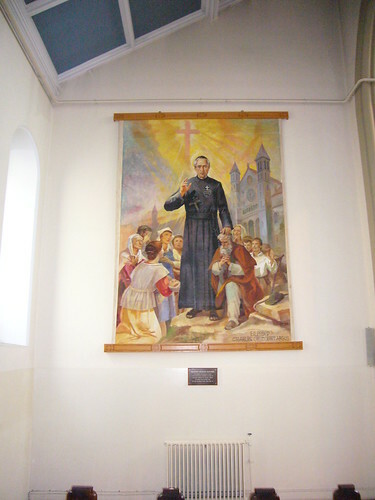 The Pearse family had a long association with the Passionists and Mount Argus. 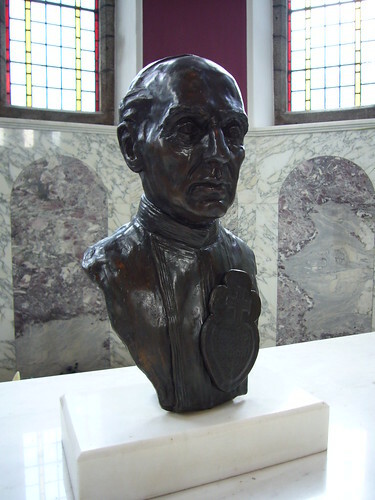 James Pearse, a convert to the Catholic faith, was instructed by a Passionist (-I think by Father Pius Devine C.P.). Mrs Pearse taught the Irish language under the direction of Father Joseph Smith C.P. (founder of the magazine The Cross); the classes were held in the building at the side gate, which is now the scout hall. 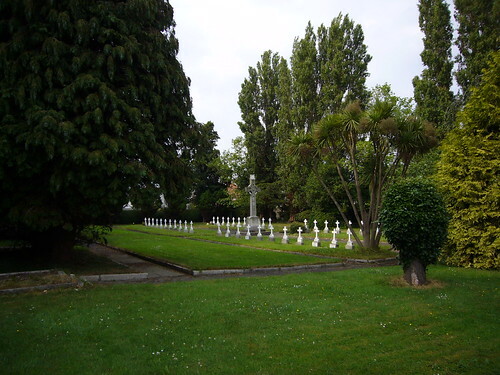 On Good Friday night, 21 April 1916, during the Seven Last Words, Patrick and Willie Pearse came to Mount Argus with one of their friends, looking for confession. One of the students, Leo Gribben C.P. 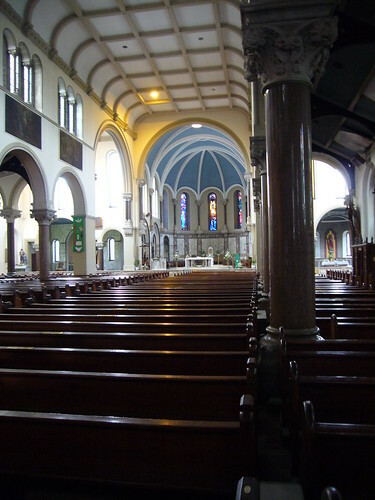 (who told me the story before his death in 1976) suggested they should wait until after the service, but they persisted in asking for a confessor, so he brought them into the monastery by the door at the altar of Saint Mary Magdalene (the Magdalene Altar) and found a priest who heard their confessions in the duty room, near the church. On Easter Monday, 24 April, Patrick Pearse proclaimed the Irish Republic at the GPO in what is now O’Connell Street, Dublin. 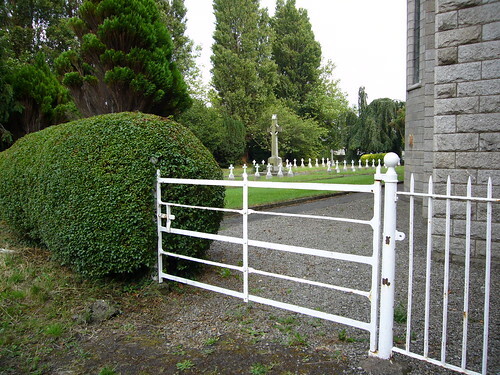 After the death of Father Paul Mary Pakenham, Father Charles (Houben) of Saint Andrew was transferred to Dublin. Within a short time, he had made a profound impression on the people of Dublin, and indeed of Ireland, with his quiet holiness and his gift of healing. Many miracles were worked through his blessing the sick with the relic of Saint Paul of the Cross. 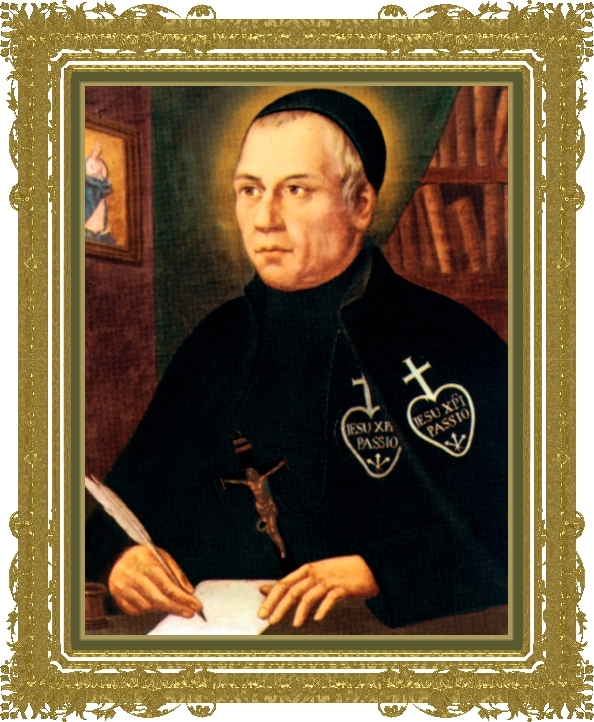 Blessed Charles of Mount Argus, as he is now known, was beatified by Pope John Paul II on 16 October 1988. This arazzo (or banner) was made for Beatification Mass. 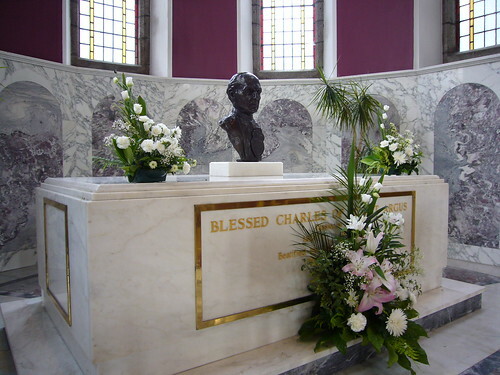 Here are some pictures of the tomb of Blessed Charles who, we hope and pray, will be canonised next year. The proposed miracle for canonisation has already been approved by the Medical Commission and the Theological Commission of the Congregation for the Causes of Saints. Mount Argus has been home to many holy Passionists. The best known is certainly our saint-in-waiting, Blessed Charles, but Father Paul Mary Pakenham lived and died as a saint too, as have many more in the last 150 years. Because we lived so close to them, we perhaps did not always notice or accept their holiness, like the cheeky Passionist student who greeted Father Charles with the words Any miracles today? For the past month, we have had Father Juan Llorente C.P. from Madrid with us in Glasgow learning English (can you believe it? ); he was speaking the other day about Father Fabian and Brother Oliver who made a deep impression on him when he visited Mount Argus several years ago. Those of us who have lived there could add other names to the list. I wish the Passionist Community at Mount Argus every blessing as they celebrate this milestone, and I pray that the future will be just as fruitful for them as the past has been.